Maine is the United State East Coast's 'Great Northern Territory.' If Maine were a man ... A Maine man. He would, and is, rugged strolling up a path between the mountains and the rocky coast w/ hurricanes flailing at him from one side, and sub-arctic storms blowing at him from the other. Hard weather? But Maine is a Maine man, still strolling with his sleeves rolled up, whistling. If Maine the man had his choice of animal companions, as Paul Bunyan had his great oxen 'Blue,' Maine wouldn't do with just one. He would need a giant moose, a ferocious bear, and some kind of monstrous lobster. 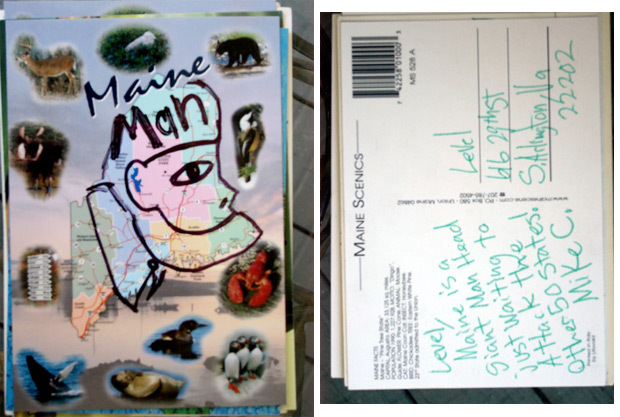 If Maine was a man he would be a fine man, way better than Paul Bunyan.